Upscale bar & eatery at Five County Stadium with American meals & wines, open in baseball season. White linen to club style atmosphere. Seasonal menu changes. Full Bar & Banquets available. 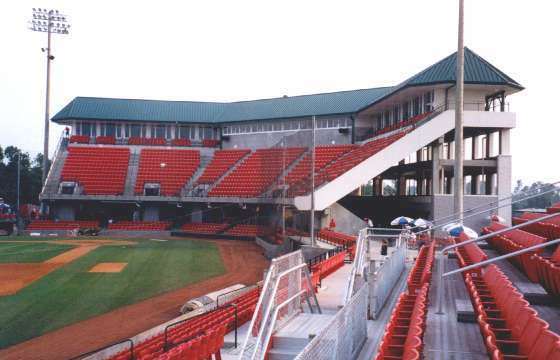 Open for all home Carolina Mudcats games and private functions.